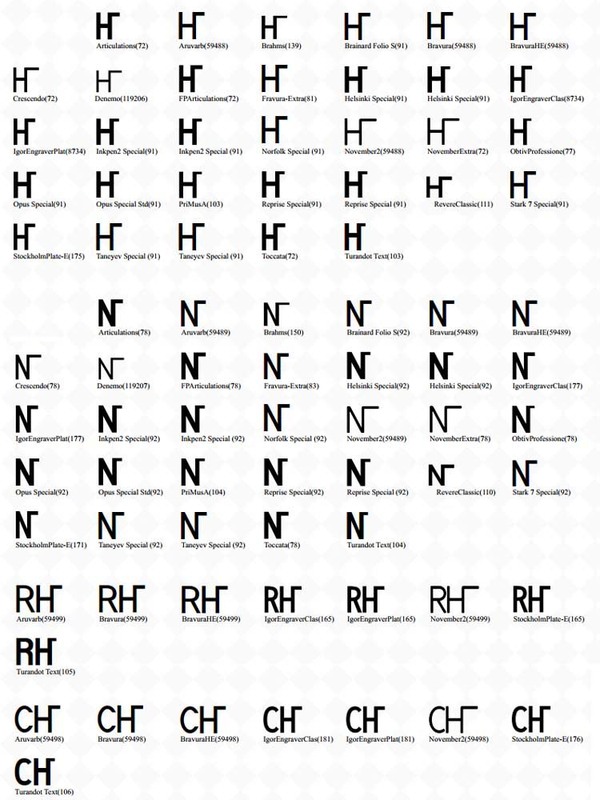 There are many music fonts that include these symbols (H,N, RH and CH). Topic: Most popular engraving programs? Re: Most popular engraving programs? Thanks for the input. Yes, this is automatable ... I'll see what I can do. Good point! Especially when you use the same slash symbols as noteheads for the rhythm notation.